There are the everyday moments, the ones you never notice. Then there are the awful ones that wet your pillow with tears. There are the moments that fill you with precious memories. And there are moments you LIVE for. I’ve just had a LIVE FOR moment! Yeah, I’m totally freaking, flipping out. And dancing around the house. Because I can now say I have an AGENT!!!!!! 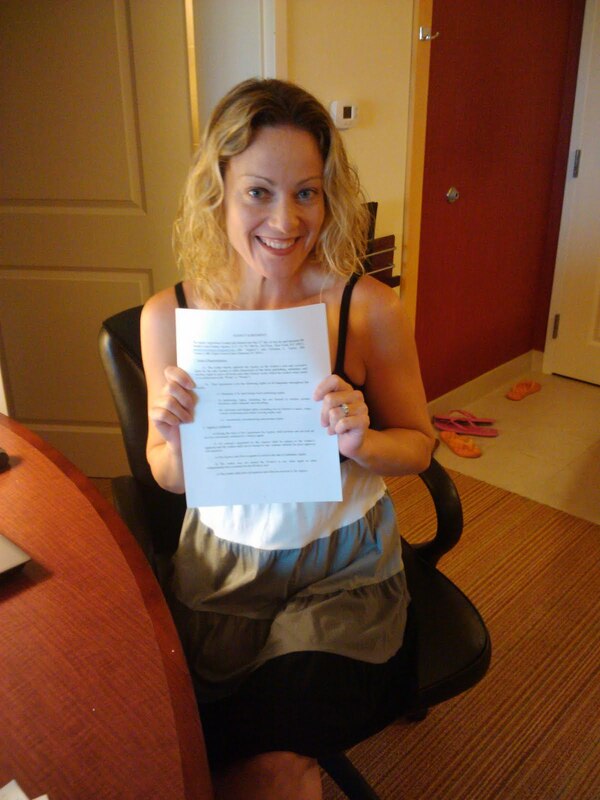 I am totally thrilled to announce that I’ve signed with Jeff Ourvan from the Jennifer Lyons Literary Agency. Not only is he amazingly cool and knowledgeable, but he loves my work. My hubby– You never doubted. Julianne, my sister and muse– So many late night phone calls listening and solving my ‘issues’. You always believed in me. Beth Revis– You were there when I first started writing (dear Lord, poor you), and you’ve been my cheerleader and great friend through all of this. And yes, your critiques are always spot on. Casey McCormick– You never let me give up even when I wanted to. Thank you for reading those awful drafts and never allowing me to write less than my absolute best. There are no words for how awesome you are. Ellen Oh– My Korean expert! Thank you for dropping everything to read my story in the midst of your own awesomeness book deals. Andrea Mack– You always have such great insights and find those details that I miss. Debbie Ridpath Ohi– For those critiques that made me think about everything in a new light. Carmella Van Vleet– My taekwondo expert who inspired me to join a do-jang. Susan Laidlaw– For keeping me true to my YA voice. Kate Fall– For all those encouragements. How I needed those. Please pop back here on Monday because I’m going to celebrate with a PARTY on my blog! With book prizes, games, dancing and lots and lots of chocolate. Hooray! Thrilled for you. Thanks for posting the happy dance photos, your smile is infectious. YAY!!! Congrats to you!! I love all the celebration pics!!! SO happy for you, Christy! Congrats, congrats, congrats! And hey, your drafts were NEVER awful. They simply got more and more FANTASTIC. This is wonderful!! Here’s to the journey. Congratulations, Christy! Best wishes to you and your agent! Christy! That’s so awesome!!! Is this the Korean one that I loved or a new book? I’m so excited for you! Congratulations!!! Huge congratulations, Christy. I’m happy for you and may your writing be going to press soon! CONGRATULATIONS! I’m so happy for you, Christina!!! Christy, this is so fantastic! I know how hard you’ve worked for this! Yay!!!! I’m really happy for you!! I keep coming back to look at your adorable freak-out photos. LOVE. I saw this on twitter and hurried over. Congratulations!!! Love the post about it, too. Congratulations – I am SOOOOOO happy for you!! Wow! Wow! Wow! This is so exciting! CONGRATULATIONS! Thank you for the photos… they made my day! YAY!! welcome to the realm of agented writers. We like to have fun. =] looking forward to following your journey!! Congratulations!! I think your pictures sum up very nicely how excited you were when you got the news. I love that you’ve already updated your profile. 🙂 Next we’ll be getting news that you’ve nabbed a movie deal for one of your books! Yay! Congratulations! Great news. I heard from Beth Revis! Whoo hoo! This is awesome news! I am so happy for you! Wow! Thank you guys for all of your comments. They have meant so much to me. You guys are beyond awesome! Major congrats. Now you deserve some very, very nice chocolate. Fabulous!! Congrat’s! Bring out the chocolate – you so deserve it! Good job Babe. Love u lots! That is awesome! Congratulations, and your dancing photos are full of win! Thank you! You guys, I feel like today was Christmas, you are so awesome. Christy, I am so happy for you!!! This is great news, Christy — so good to hear it! I’ll be looking out for your book, and I have quite a few Korean-o-philes to recommend it to as well. Incredible news! I love your excitement. Here’s to a quick sale! Congrats Christina! That’s awesome news. YES! So happy for you!! Yay, I didn’t miss the party! You’re an awesome writer, Christy. I’ll encourage you any time! Woo hoo!! CONGRATS!!! Can’t wait to read your book! Yay, you!!!!! Congratulations!!!! Can’t wait to see and read your published book! OMG Christina this is absolutely fabulous news! Congratulations. How did I miss this! I know I’ve been under a rock, but really…I have no excuse. OMG!!!!! I’m sorry I’ve been such a crappy online buddy recently, but I saw this on QT just now and knew it had to be you! CONGRATULATIONS!!!! squeeee!